The BeingWell wishes the community in which it exists and works well. The BeingWell is a social enterprise. This means that we put mindfulness over profits. We use a proportion of all profits to give mindfulness to people who might otherwise never be able to go on a mindfulness course. We put the wellbeing of Tower Hamlets at the centre of our mission as a business. The BeingWell is in the heart of the very unique social and financial situation of Tower Hamlets. Here lies Canary Wharf, one of the world’s most pressurised working environments. The towering skyscrapers generate an economy of £6 billion – larger than that of Jersey, Monaco and Malta. This is starkly juxtaposed with the fact that 20% of Tower Hamlet’s households live on an annual income of £15,000 or less. 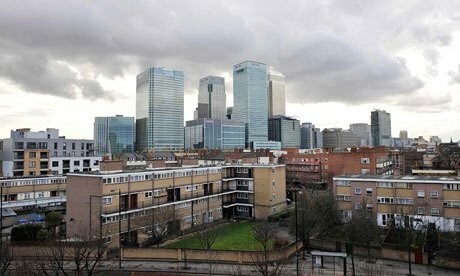 Within the shadows of booming Canary Wharf are the council blocks with the second-highest level of unemployment in London with many families living in relative poverty. These striking contrasting social and economic contexts have something in common. Those working long hours in the skyscrapers and those in poverty could be at risk of personal stress, family strife and knock on psychological difficulties of sleepless nights, depression, anxiety and emotional distress. The BeingWell delivers well-researched and evidence-based mind resilience training – mindfulness. Building resilience is about exercising natural strength while you are well and life is good. This helps resource you when tougher times strike. The BeingWell contributes to the economy as a business, and we benefit society too by running projects in similar ways to charities. We are sustainable as a business and social enterprise by running high-quality mindfulness programs that individuals, organisations and companies buy as excellent and distinctive products for personal wellbeing and employee health. Then when we do well as a business, society profits. The BeingWell is proud to be working in partnership with the Oxford University Mindfulness Centre and the East London NHS Foundation Trust. We will be running and evaluating mindfulness groups for mental health patients transitioning from wards to the community. Help mental health patients make an easier transition to primary mental health services from secondary provision. Promote recovery and psychological progress, not just maintenance, of the patient’s mental health at the time of discharge. Reduce the likelihood of return to inpatient care in the future. Apart from helping the patient progress psychologically, socially and economically, reducing the demand of high-cost in-patient services could lead to long-term savings for the NHS.